The most prestigious expression of the Nebbiolo grape, Barolo hails from a village of the same name located in Piemonte, which gets its name from piedi ("feet") and montagne ("mountains"). Fittingly, the scenic region sits in the foothills of the Alps in northwestern Italy; in fact, the mountainous soil that nurtures the vines of the Nebbiolo is what gives the wine its distinct characteristics. Known around the world as “the king of wines,” Barolo is a timeless wine with a history as rich as its nickname. Right now at Eataly, we are celebrating the heritage — and robust flavor — of the noble wine with Barolo Weeks at Eataly USA (get the details). Discover the story of Barolo, then stop by your local store for a flight, a glass, or a bottle. Bottoms up! 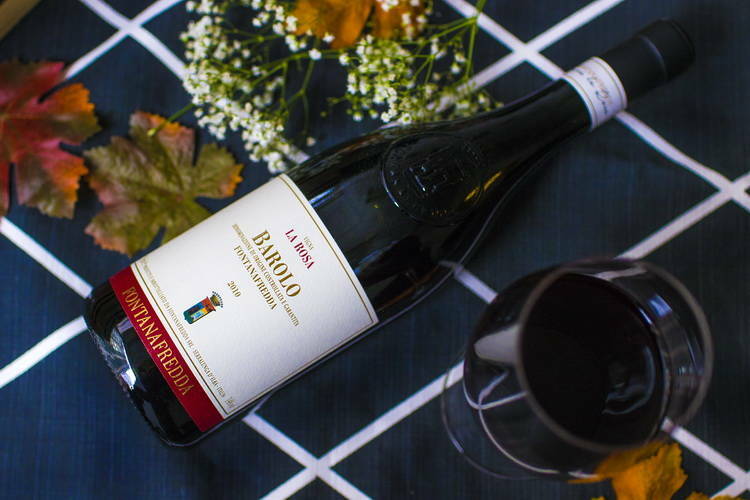 While the Nebbiolo grape has a history that dates back to the 13th century, the word "Barolo" didn’t start making an appearance on labels until the mid-19th century, around the same time glass bottles were introduced to the region (before that, it was a cask-only wine). Traditionally, Barolo is a dry wine, heavy in acidity, tannins, and alcohol. Prior to the mid-1800s, Barolo was drastically different, made in a richly sweet and fruity style. This was because the Nebbiolo grape ripens in late October, when temperatures are steadily dropping. By November and December, temperatures in Piemonte would be cool enough to halt fermentation, leaving a substantial amount of sugar in the wine. The truth of who made the first dry Barolo can be left to sober debate, but one story begins in the mid-1800s, when Camillo Benso, Count of Cavour (also a leader of the movement for Italian unification), saw an opportunity to modernize his family’s estate in Grinzane by improving the wine-making technique and introducing a monoculture of vines. He enlisted the help of Frenchman Louis Oudart as his oenologist (winemaking expert), who was able to ferment the Nebbiolo completely dry, making the first modern Barolo. A noblewoman named Giulietta Falletti, Marchioness of Barolo — also enlisting help from Louis Oudart for her vast estate in La Morra, Serralunga d'Alba, and Barolo — developed a Bordeaux-style wine which attracted the attention of King Carlo Alberto di Savoia. This wine, says Falletti, was called "Barolo." It was a wine so superb, that it allegedly later inspired King Carlo Alberto di Savoia to purchase the estates of Verduno and Roddi for wine production. Meanwhile around the same time, Emanuele Alberto Guerrieri — the illegitimate son of Vittorio Emmanuele II, Count of Mirafiori and the first king of Italy — began planting vines around a family refuge called Fontanafredda, near Serralunga d’Alba. 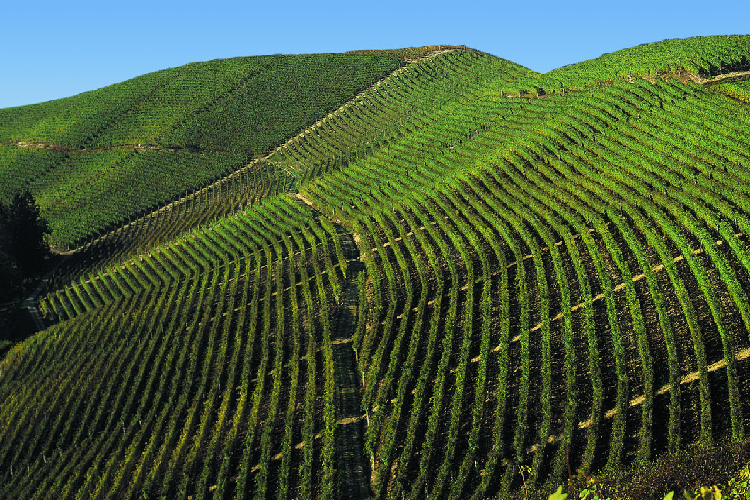 Today, Fontanafredda remains one of the most well-known Barolo producers and one of the largest contiguous properties. It was this association with Italy’s then reigning dynasty that earned it its nickname “the wine of kings, the king of wines,” which it still proudly holds to this day. Traditionally, Barolo is a slow and steady wine, sometimes taking more than 10 years to soften and become ready for consumption. Fast-forward a century after Oudart’s era to the 1970s and 1980s, and the worldwide market favors fruitier and less tannic wines that could be consumed at a younger age — not an easy thing to do with a Nebbiolo’s high levels of acidity and tannins. Naturally, there were those who wanted to develop a sweeter Barolo to please the market, and those who wanted to stick to the tried-and-true process. The leaders of the modernist side were producers Elio Altare, Ranato Ratti, and Paolo Cordero di Montezemolo, among others. This group of “rebels” began using rotofermenters (a vessel which ferments grapes mechanically), which allowed for a speedy extraction of color, faster fermentation period, and a shorter ageing period, which resulted in less tannic and paler wines, though traditionalists will argue that wines produced in this way manner are not true Barolo wines. For better or worse, both processes produced very different but equally respectable Barolos in their own right. Fittingly, there is an entire documentary about the Barolo Wars called Barolo Boys: The Story of a Revolution, which happens to be narrated by Eataly partner Joe Bastianich, with special participation from Eataly founder Oscar Farinetti, and Carlo Petrini, the founder of the Slow Food movement. In 1980, Barolo was one of the first Italian wine regions to attain DOCG classification — the highest possible in Italy — along with Barbaresco and Brunello di Montalcino. Italy’s DOCG regulations require Barolo to be aged a minimum of three years and Riserva Barolo for five. The Barolo DOCG encompasses 11 different communes in the region. The "Big Five" — Monforte d’Alba, La Mora, Castiglione Faletto, Serralunga d’Alba, and of course, Barolo — have the advantage of altitude and soil, producing nearly 90 percent of all Barolo, while the remaining six — Diano d’Alba, Grinzane Cavour, Novello, Cherasco, Roddi, and Verduno — round out the rest. With a DOCG designation, one comes to expect a certain quality year after year. The beauty of wine is its reliance on nature — the soil, the rainfall levels, temperature, and amount of sunshine — none of which can be controlled and all which play a critical role in how wines taste from one harvest to the next. Depending on the terroir of the vineyard the Nebbiolo is grown in, the scent of the Barolo can vary widely, from chocolate, mint, strawberries, plum, and eucalyptus, with tar and rose being common notes. 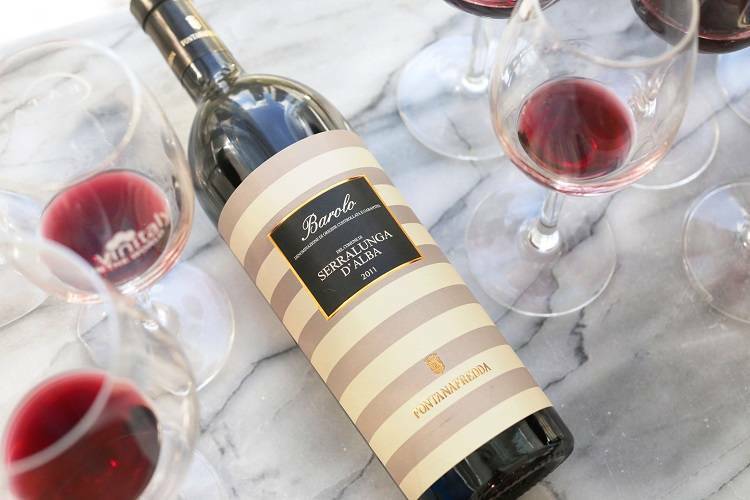 Barolos are typically robust, full-bodied wines with pronounced tannins and acidity. Their color varies from a ruby color when young, to a more brick or orange color as they age. Because of its strong presence, this wine is often paired with foods of similar weight, such as beef, veal, and truffles. When you match a robust wine with a strong food, the wine’s tannins bind to the proteins of the food resulting in a softer flavor, as opposed to overwhelming a lighter dish such as fish. 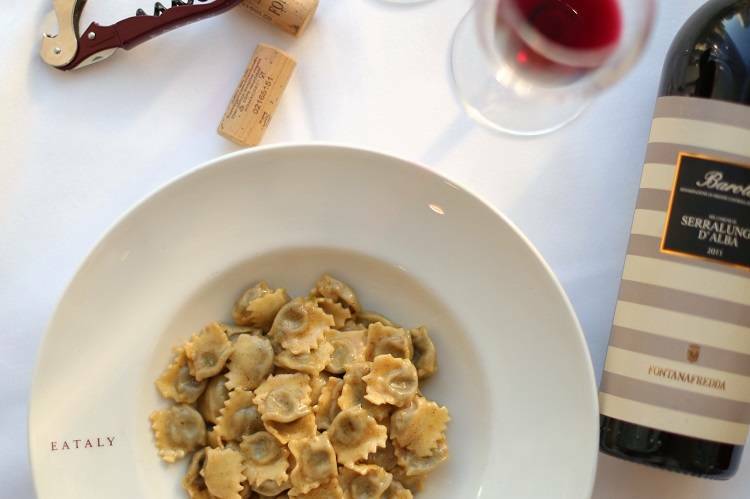 We imagine Italian royalty of the mid-19th century enjoyed a glass of Barolo with a rich Agnolotti del Plin.